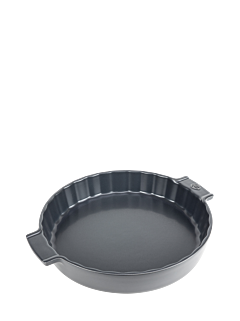 Clean and contemporary, the lines of Appolia cookware and ovenware are designed for practicality and expressing flavors. 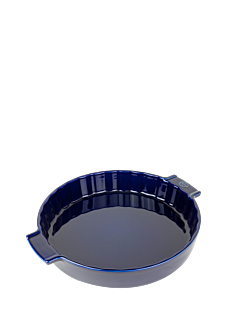 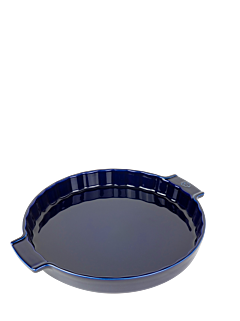 With its wide and striated handles, the pie dishes and meat pie dishes are easy to remove from the oven and to carry to the table. Appolia Meat Pie Dish Ecru 28 cm - 11"
Appolia Ceramic Tart Dish Red 30 cm - 12"
Appolia Ceramic Tart Dish Ecru 30 cm - 12"
Peugeot ceramic dishes support freezing temperatures and can pass directly from the freezer to a preheated oven, without risk of a thermal shock (from -20°C to 250°C). Ceramic is the traditional material to make your poultry pies, fish, pates or tarte tatin. The high edges of the meat pie dishes allow the retention of the cooking juices to preserve the mellow and without tying.